Fundraiser for Karen Fredericks by Kieran Mulryan : Theo Needs Your Help! Theodore (Theo) Fredericks is an incredibly sweet, adorable and playful 2 year old little boy. He lives in Butler NJ with his loving parents, Karen (nee Szwech) and Vincent (Vin), and his recently-born brother Bennett who is only 8wks old. 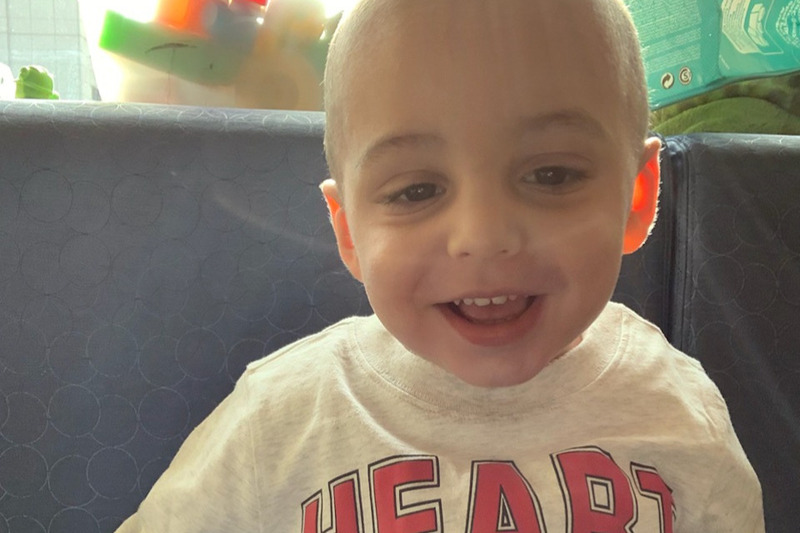 On January 18, 2019 Theo was taken to the emergency room at St. Joseph’s Children Hospital in Paterson, NJ because a recent illness characterized by vomiting, headaches and imbalance had not responded to typical treatments directed by his pediatrician. 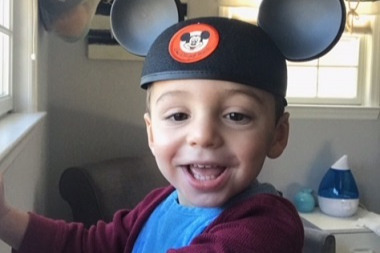 Following a CT scan and MRI his parents and extended family heard the news and diagnosis that no parent should ever hear. Theo had a mass on his brain and would need immediate surgery to remove it to determine the type and malignancy of the tumor. 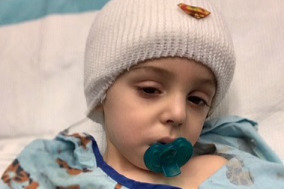 On Sunday morning, January 20, Theo had a 5hr surgery to implant shunts in his skull to allow fluid and pressure to drain, and to have the tumor removed. After the tumor was removed, doctors diagnosed Theo with medulloblastoma, an aggressive brain cancer which must be treated with chemotherapy. There will be several rounds of chemotherapy including inpatient hospital stays and outpatient clinic visits, as well as a stem cell transplant. 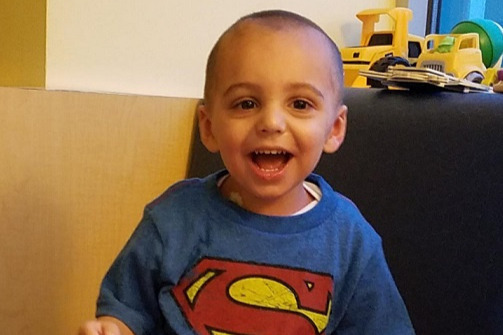 Theo started his first round of chemotherapy on February 11 at Hackensack Children's Hospital, and will be in the hospital for at least one week. Later on in February, Theo will have surgery to harvest his stem cells which will be reintroduced to him after chemotherapy ends. Karen and Vin need all the time and support possible to care for Theo. While they have an extremely supportive extended family in the northern NJ area, they will both need to take unpaid time off from their jobs during the treatment and recovery process. Karen was out of work on maternity leave when Theo was diagnosed and will now be out of work indefinitely. And while they have health insurance, it’s unclear how much of Theo’s total care needs will be covered. 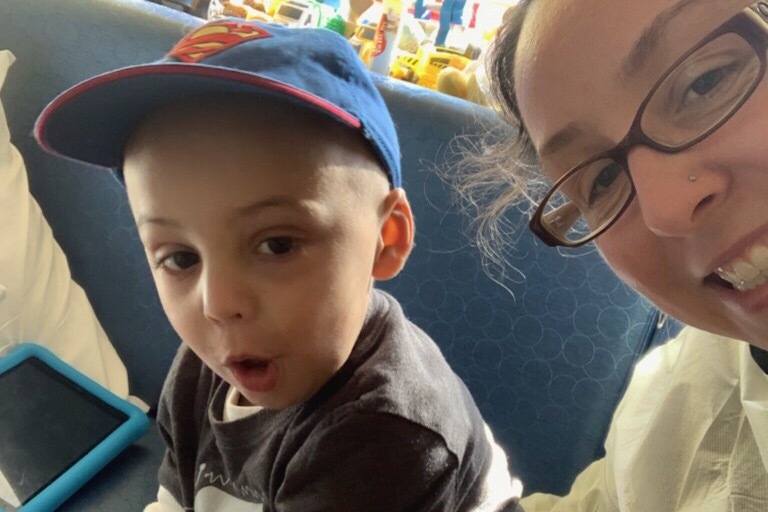 Their situation is urgent and we ask anyone who can spare any amount to please consider donating to the Fredericks as they give Theo all of their love and support to get healthy. We do not want financial stress to add to their already extremely difficult circumstances. Your donations are greatly needed and will be sincerely appreciated by Karen and Vin and the entire Szwech and Fredericks families. All donations will be used for living expenses and medical bills. Any extra money will be donated to charity for childhood brain tumors. Thank you for your kindness and generosity. We wanted to post a brief update to thank everyone for their extreme generosity, thoughts, kind words and prayers. It is amazing and heartwarming that so many people, in such a short period of time, have found it in their hearts to support Theo and his family as they endure the most challenging circumstances that a family can face. This campaign has helped the family tremendously in so many ways. As of today, Theo is still hospitalized dealing with complications from the chemo. He has needed a blood transfusion and other treatments for infections. Stem cell retrieval surgery is still scheduled for this week, and he will need to remain hospitalized until he recovers sufficiently to go home. His second round of chemo starts March 11, so we’re hopeful he’ll get to spend some time at home prior to then. Please keep Theo and his family in your thoughts and prayers. We will keep you updated on his progress. Thank you all again for you support and generosity.